In any kundli or horoscope(birth chart),the third house or bhava and other eighth house or bhava deal with the longevity as third house or bhava is eighth from eighth so it is also for longevity or life span of a person. The conditions existing here define the leaving of the world – the conditions like/fever/operation/accidents/murder or leaving in peace all are indicated here. As case study we will study sri Jawaharlal Nehru father of smt. Indira Gandhi ji former prime minister of India’s horoscope or kundli and a former congress leader of India. One of the greatest statesman. What is the role of the sahaj bhava or the third house to tell us about departure from world? In any kundli or horoscope(birth chart),the role of the sahaja bhava or the third house and death. If sun is strong or surya is strong in the third bhava, one may leave this world due to legal or governmental or legal punishments may be in jail etc. Moon or Chandra in sahaj bhava could cause the departure due to tuberculosis as moon rules chest, but if Mangal or mars is there this could cause death due to weapons, fire and also thirst. What is the role of malefic like Saturn/rahu in the third house or bhava for departure from the world? For any kundli or horoscope(birth chart),If the sahaja bhava or the third house is occupied by Saturn or shani and rahu, the departure from this world could be due to poison, water, or fire or from fall from heights or even confinement or jail. For any kundli or horoscope(birth chart),If Chandra(moon) or gulik is in the third bhava the death would descend due to Chandra or guliks or even there is a drishti or aspect to the third house or bhava. Does Jupiter or guru or Venus or shukra bless you or curse you in the third bhava or house? If planet guru is in the sahaj bhava or giving aspect or drishti to this house- the death could come by swelling or tumours. If For any kundli or horoscope(birth chart),If shukra or Venus is in the third bhava or gives an aspect to the third bhava the death would come by urinary problems. If there are several planets occupying the third house the departure could be by many diseases. For any kundli or horoscope(birth chart),Budha(mercury) here could mean death by fever. How do benefic in the third house impact the departure? For any kundli or horoscope(birth chart),If the third house or bhava or the sahaja bhava is occupied by a benefic the departure from world could happen in a holy place like a shrine or a temple and if sahaja bhava has a malefic there, the death would be in sinful places or hospitals. If there are mixed kind of planets in the third house one may have mixed results in regard to departure from the world. How conscious we would be at the time of departure? For any kundli or horoscope(birth chart),there could be consciousness at the time of departure if guru(Jupiter) or shukra(Venus) sit in the third house or bhava. If other grahas or planets are there- one may be unconsciousness. Where is the departure at home /while travelling or foreign lands? If sahaj bhava or the third house is a movable sign or a dual sign or a fixed sign, the departure from the world would happen in foreign lands or other than birth place or in own house or while moving. What is the role of eighth house or bhava in departure from the world-part 1 ? Given any kundli or horoscope(birth chart),The occupants of the randhr bhava also tell the cause of departure from this world. Like sun or surya here means departure due to fire , if Chandra or moon is in the eighth bhava then departure by water, if Mangal or mars then by weapons, if budha here then through fever- if shukra here then it is due to hunger and if shani or Saturn then it is due to thirst. What is the role of eighth house or bhava in departure from the world-part 2? If the eighth house or randhr bhava receives drishti or an aspect from a benefic, while the ninth lord of dharma’s lord is in conjunction or yuti with a benefic , the person may die in If randhr bhava or the eighth house is occupied by or receives and aspect from a malefic , while dharma bhava lord or the ninth house or lord is in yuti with malefic planet, the departure would be in place other than a shrine. Fate of the Human Physical System at departure from the world. For any kundli or horoscope(birth chart),If there is the 22nd drekkana in the eighth house or the 22nd division of d3 divisional or varga chart that is the decanates chart- the body would be consecrated to fire as per shashtras. Else if a malefic it goes to water or thrown to water. For Jawaharlal Nehru ji’s kundli or horoscope(birth chart),The third bhava or house for Jawaharlal Nehru ji has mars- representing heart attack primarily and also fever and also the lord mercury or budha is in the fourth bhava along with benefic Venus so departure at home due to fever plus urinary problems is clear here. He left for his heavenly abode in home itself , also he is said to suffer from fever earlier. For Jawaharlal Nehru ji’s kundli or horoscope(birth chart),The eight house lord a weak Saturn afflicting the Leo sign, also indicates a higher chance of heart issues , also an aspect to the third lord by Saturn or shani is there, double confirming the departure by heart or blood pressure related issues based on medical astrology. For Jawaharlal Nehru ji’s kundli or horoscope(birth chart), Kindly note the aspect of malefic Saturn(shani) the lord of eighth house on the fourth poor heart lord Venus and also the lord of the third bhava in fourth bhava. 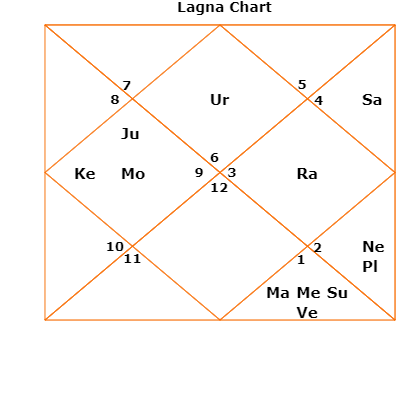 What are the life giving houses or bhavas in any kundli or horoscope(birth chart),? That is the life giving bhavas or houses are the eighth house, so eighth from the same is the third bhava or house, so this should be life giving. Now the twelfth form any house is diminishing the energies of that house. So twelfth from eighth is seventh bhava or house and twelfth from third is the second bhava, though with lesser significance- but this is there. What are the major and minor marakas? In any kundli or horoscope(birth chart),The dhana bhava or second house lord is a powerful maraka and so is the seventh bhava lord, any malefic here become maracas or any yuti or conjunction with the lord of the second or seventh house becomes a natural maraka. The major or minors sub periods or dasha will bring in death or death like pain. All would depend on the life span of the person that is full (purnaya), medium (Madhya ayu) or short life span. In any kundli or horoscope(birth chart),The dasha or a benefic planet (like Venus(shukra)/Jupiter(guru) or mercury(budha)) with twelfth bhava or the twelfth house may also cause either hospitalization or even So could the dasha of the eighth bhava or house lord planet happen the same effects could be there. The lesser probability Is for planets that are natural malefic like Saturn(shani), mars(Mangal) or rahu or ketu. What is The role of Saturn or shani in longevity? For any kundli or horoscope(birth chart),The planet Saturn or shani becomes a high class killer if it is not strongly placed and connected to marak planet or graha. What are the life span ranges based on Vedic astrology or jyotish? There are three kinds of lifespan or longevity of any person that is the short, medium and long lifespan. Short life is less than 32 years, later on up to the age of 64 this is medium life and from the age of 64 to 100 it is long life. More than 100 the longevity or life span is called supreme. Why should the longevity of the child not judged till age of 20 years? Till the age of 20, the longevity or lifespan is undecided. There should be protection by mantra incantations/donation s and offerings to fire GOD as per the Vedas to prevent issues in life span. Also ayurveda and medicine has to be used. There could be issues to the child due to sins of mother and father and also his or her own in the past life. What are the harmful life periods of various nakshatras? Also one with a medium life span could have death like issues in the dasha or planetary period of the pratyak star or the 5th star or nakshatra for the birth star. The dasha of the 22nd drekkana or decanate or the 23 or 3 or the 5th/7th nakshatras or asterism could cause demise of the person. The lord of 2/12 counted form the arshi or the moon sign could be cause of demise. This is true when moon or Chandra is a malefic planet. If moon is a benefic then there is diseases and not death as such. How do the dasha’s or planetary periods of sixth/eighth and twelfth house lords affect you? The leaving of this world could happen when In any kundli or horoscope(birth chart), dasha or planetary periods of the sixth house or ari’s lord and sub period of the sixth bhav or house lord or the eighth house lord(randhr bhava) or the twelfth house lord( vyaya bhava) and sixth bhava or house lord runs. If there are marakas, if these marakas have strength then there could be diseases,poverty and miseries etc in major or minor sub periods or dasha. Death or difficulties could be there. What is the role of rahu and ketu as marakas? How are rahu and ketu as marakas or death inflicting planets? Given any kundli or horoscope(birth chart),rahu or ketu is sitting or placed in tanu bhava or first house or Yuvati bhava or the seventh house or the randhr bhava or the eighth house or the vayay bhava of the twelfth house or it is in the markesh that is the seventh bhava from a marak lord or is placed with such markesh planet, the rahu and ketu acquire the killing power in the dasha or pratyantar dasha periods or main or sub periods. What is the role of rahu and ketu if your lagna or ascendant is Capricorn(makar rashi) or virshchika rashi or Scorpio? In any kundli or horoscope(birth chart), one is born in makara or Capricorn lagna or ascendant or in vrishchika lagna that is Scorpio sign , rahu becomes a maraka . If rahu is in the ari bhava or the sixth house, randhr bhava or the eighth house or the vayaya bhava or the twelfth house- there would be difficulties in this dasha But if rahu receives a drishti or an aspect r a benefic, then the above problems would not be there. In the kundli or Horoscope(birth chart for sanjay Gandhi ji), If one notes sri sanjay Gandhi’s horoscope- his third bhava has an aspect from the eighth lord sun which is conjunct with ketu in the eleventh bhava. So as it is said kujvate ketu or like mars ketu is there, the aspect form the aggressive malefic eleventh bhava suggest gets killed in an accident and also fire as sun is involved. Aircrafts or aeroplanes burn into fire after crash we know. For the kundli or Horoscope(birth chart for sanjay Gandhi ji), There is mercury as well that rules the sixth house and also the ninth house, this gives some protection- but adds fuel to the fire and suggest air explosions or accidents. Also note that that natural malefic Saturn is the markesh for him and aspects the third bhava, now Saturn rules metals. Also aeroplane or aircraft is made-up of metals. In the kundli or Horoscope(birth chart for smt. Indira Gandhi ji), The third bhava or house lord is mercury , it is with planet sun the markesh form lagan or ascendant for her. The eighth bhava lord house lord is Saturn or shani that sits in the Kendra and aspects long terms relationships(The guards were with her for a while). For the kundli or Horoscope(birth chart for smt. Indira Gandhi ji), There is an aspect of mars or Mangal on the eighth bhava , mars is sitting in the second bhava of markesh. Now the common point in mars/sun and Saturn is arms/metal- something cutting- so unfortunately she was shot dead. The third bhava or house lord is mars sitting in the first bhava or ascendant. So is the eighth bhav lord mars or Mangal. For the kundli or Horoscope(birth chart for rajiv Gandhi ji), There is a malefic aspect of ketu in Saturn sign on the mars or mangal. Saturn or shani is a natural killer. So explosion is indicated as mars is in the third and eighth house both, so lord of fire energy. 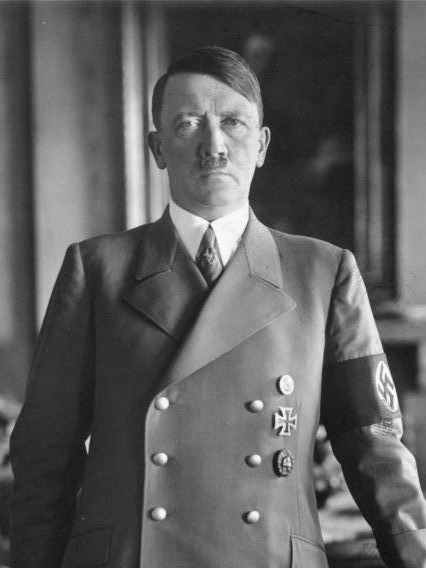 In the kundli or Horoscope(birth chart for adolf hitler), For Adolf Hitler’s horoscope the third lord of self is ruled by mars and so is the eighth house ruled by mars, both are in the eighth bhava or house- so indicating a possibility of sucide by force or aggression. Aspect of mars or Mangal on the third bhava of Hitler confirms the same. The mars connects to the self or lagna or the ascendant that means killing of self mercury in the eighth bhava. In the kundli or Horoscope(birth chart for adolf hitler), Sun(surya) the lord of twelfth and foreign lands is here- so this happen in foreign lands when fighting the Russian army. Venus the markesh for him /Hitler is also there in the eighth bhava. One has to note that he got killed in Venus sub period his markesh and in the eighth bhava along with his lover Eva Braun Venus and ninth bhava lordship of Venus). So one can clearly see how the classical Vedic astrology principles can be applied to real life problems or matters with success or departure from the world. Sri Sanjay Gandhi ji was born on 14 December 1946 and he left for his heavenly abode on 23 June 1980). He sanjay Gandhi ji was an Indian politician. He was a family member of the Nehru-Gandhi dynasty. Sri Sanjay Gandhi ji’s widow smt. Maneka Gandhi ji has a son sri Varun Gandhi ji who is a leading politicians in the BJP. In the kundli or horoscope(Birth chart) of sanjay Gandhi ji, lagna is Saturn or shani and is in the enemy sign of moon(cancer/karkat rashi) in the seventh house or bhava that is Kendra. Moon(Chandra) the dispositer of lagna or ascendant is OK, but in the eight bhava of accidents and attack prone house eighth. For the kundli or horoscope(Birth chart) of sri. Sanjay Gandhi ji, the eight houses or bhava is ruled by the royal sign Leo(simha) or the lordship of sun(surya), sun is with malefic ketu who functions like mars & mercury the lord of ninth and the sixth bhava. Also note that mercury(budha) sits on anuradha nakshatra, which is ruled by planet Saturn a markesh for sanjay Gandhi ji. In the kundli or horoscope(Birth chart) of sri. Sanjay Gandhi ji, the eighth lord sun has malefic influence of ketu and also mars sitting close in the twelfth bhava. For the kundli or horoscope(Birth chart) of sri Sanjay Gandhi ji, Saturn(shani) is just OK in Kendra in the seventh bhava and is retrograde- here. Giving him average scoop of longevity or life span. In the kundli or horoscope(Birth chart) of sri. Sanjay Gandhi ji, Moon(Chandra) is fair in the eighth bhava or house. Moon gets weakened in the eighth bhava day by day and is at 359.63 shadabala, which is not high. In the kundli or horoscope(Birth chart) of sri. Sanjay Gandhi ji, Saturn is in seventh bhava or house of Kendra, rahu is in the fifth bhava, sun and ketu are in the eleventh house and mars in the twelfth bhava or house. So over all just OK. Malefic like Saturn in the seventh bhava and lordship of the second bhava of Saturn make it a first rate killer for sri sanjay Gandhi ji. Planet moon is also a markesh for him. He was running moon-mercury period when he left for his heavenly abode in June 1980. For the kundli or horoscope(Birth chart) of sri. Sanjay Gandhi ji, The markesh is moon and Saturn clearly, Saturn is a powerful markesh for him. IN d9 or navamsa also the markesh is Saturn and moon. Mercury absorbs the energy of ketu and sun(the eighth lord), causing sudden accidents. The killers in navamsa are moon and Saturn. Based on moon chart mercury is the second lord and is a markesh for sanjay Gandhi ji. So is Saturn. Now Saturn sitting on moon sign cancer makes it a high class killer. So over all moon-Saturn and moon –mercury dasha period would have been hard for sanjay Gandhi ji. His chance of getting hurt in an accident is high, the plant sun and his other factors are in the nakshatra of mercury- so indicating a possibility of air accident. We wish peace to his soul. •	We All want to Live Long & Healthy Life of 120 Years. But weakness due to various astrological factors like your lagna(ascendant) and other many factors reduce the same-To Know in depth about Your Longevity. Sri Rajiv Rajiv Ratna Gandhi ji was born on 20 August 1944 and left for his heavenly abode on 21 may 1991. Sri Rajiv Gandhi ji was the 6th(sixth) Prime Minister of India, serving from the years 1984 to 1989. He had to take office in 1984 after assassination of his respected mother, Prime Minister smt. 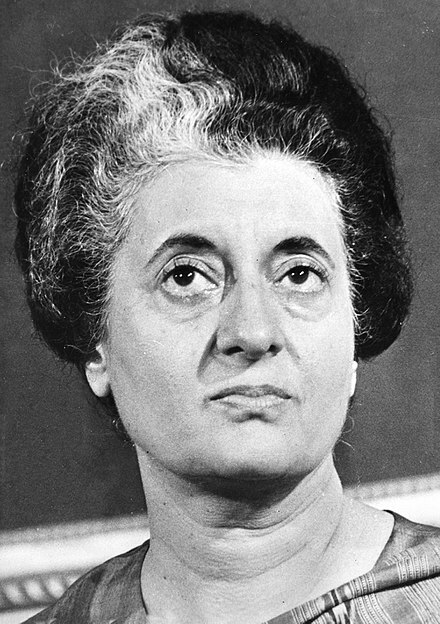 Indira Gandhi, and he became the youngest Indian Prime Minister at the age of 40. Sri Rajiv Gandhi was from the politically powerful Nehru–Gandhi family, who had been associated with the Indian National Congress party. his maternal grandfather Jawaharlal Nehru was Prime Minister. Rajiv Gandhi ji had attended college in the United Kingdom. He had returned to India in 1966 and became a professional pilot for the state-owned Indian Airlines. In the kundli or horoscope(Birth chart) of sri Rajiv Gandhi ji , mercury(budha) is the lord of the horoscope or the ascendant as Virgo rules his first house that is the kanya rashi. This planet mercury is weak and old at 28 degrees in the twelfth house or bhava- so is weakened somewhat. For the kundli or horoscope(Birth chart) of sri Rajiv Gandhi ji , Mercury is also hemmed with malefic like mars in the first house or bhava and rahu in the eleventh house or bhava. But mercury is fair in total dig bala at 51.3 value giving fair amount of strength- that made him the prime ministers of India one time. For the kundli or horoscope(Birth chart) of sri Rajiv Gandhi ji, the eight house or bhava is ruled by malefic mars or Mangal that sits in the first house or bhava. Making him more accident prone and sudden leaving the earth is possible due to eighth house rulership. Given the kundli or horoscope(Birth chart) of sri Rajiv Gandhi ji , The longevity lord mars is weak at 1:17 degrees. The total digbala is fair at 37.4 for mars or Mangal. In the kundli or horoscope(Birth chart) of sri Rajiv Gandhi ji, The first bhava lord is hemmed by malefic rahu and mars as discussed above. For the kundli or horoscope(Birth chart) of sri Rajiv Gandhi ji, Saturn(shani) is fair in the tenth house or bhava in Gemini sign or mithuna rashi. But it is in Kendra and so gets some strength. In the kundli or horoscope(Birth chart) of sri Rajiv Gandhi ji , Saturn(shani) is at 32.97 digbala. For the kundli or horoscope(Birth chart) of sri Rajiv Gandhi ji , Also note that moon rules the eleventh bhava, has the energy of rahu coming in to the same. In the kundli or horoscope(Birth chart) of sri Rajiv Gandhi ji, rahu is in eleventh house, mars is in first bhava Kendra and ketu is in trikona house(angular house) the fifth house or bhava , Saturn again is in Kendra or the tenth bhava. This combination again is not good at all for longevity as kendra’s are like he nervous system of any person or horoscope. For the kundli or horoscope(Birth chart) of sri Rajiv Gandhi ji, The markesh for Rajiv Gandhi ji is Jupiter and Venus both the lord of seventh house and the second house as well. Note he ran rahu-ketu dasa when he was attacked. Ketu also aspects the mars or Mangal of sri Rajiv Gandhi ji. Ketu sits in the sixth bhava from moon. In the kundli or horoscope(Birth chart) of sri Rajiv Gandhi ji , In the d9 chart or the navamsa ketu sits in the seventh bhava the markesh and also rahu sits in the lagna or ascendant. Ketu sits close to mars or Mangal the killer again in the seventh bhava or markesh. So ketu absorbs all the negative energy of mars as well and also it is said “kujvate ketu” that is like mars ketu is is so ketu has become fiery like mars and hence the explosion was used to assassinate sri Rajiv Gandhi ji. For the kundli or horoscope(Birth chart) of sri Rajiv Gandhi ji , Rahu the dasha lord for sri Rajiv Gandhi ji sits with Jupiter the markesh in the d1 or lagna chart. Also ketu the malefic sits on sun or surya the lord of the twelfth bhava. Given the kundli or horoscope(Birth chart) of sri Rajiv Gandhi ji , Venus the second lord is sitting on purva phalguni nakshatra or star-ruled by Venus(shukra) again. The eighth lord mars are sitting on uttar phalguni nakshatra or star-that is ruled by planet sun or surya. In the kundli or horoscope(Birth chart) of sri Rajiv Gandhi ji , From his(rajiv Gandhi ji’s) moon Jupiter rules his eighth bhava is in the first bhava. For the kundli or horoscope(Birth chart) of sri Rajiv Gandhi ji , Mercury and Saturn become markesh for him. Jupiter(guru) is again in magha – ruled by ketu. In the kundli or horoscope(Birth chart) of sri Rajiv Gandhi ji , So ketu is a killer for him. He was killed in rah-ketu dasha or bhukti unfortunately. We pray for peace of his gentle soul.